Those with extensive Windows game libraries can’t always organize them effectively. Steam, GOG, and Origin are a few of the digital game distributors with client software you need to launch before opening games. Thus, you’ll usually have to start multiple game clients separately to launch the games. As such, some software developers have now developed game launchers with which you can organize your Windows games within a single library more efficiently. 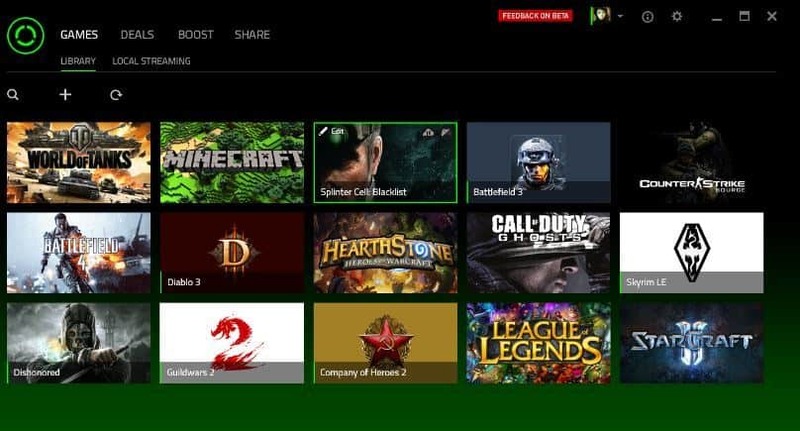 Game launcher software enables you to organize all your games from separate digital distributors and Windows folders within a single package. Then you can quickly open all your games straight from the game launcher software without shuffling through countless subfolders. 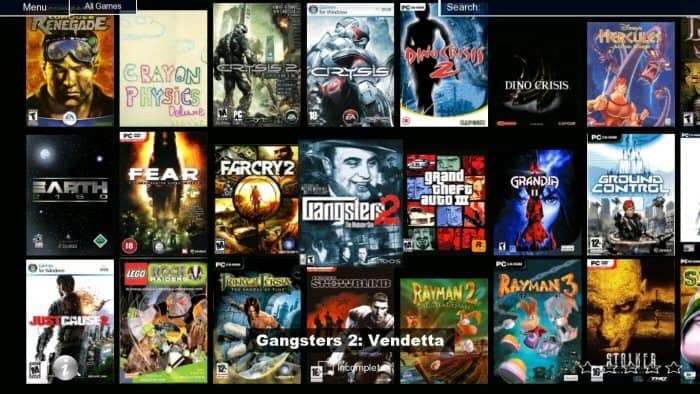 Game launchers are a gaming equivalent of Google Picasa, which imports and organizes images on your HDD so that you can quickly find and edit them within a single program. 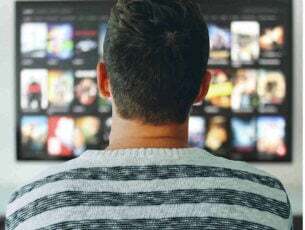 The programs usually have customizable interfaces, search tools and some also include extra options and settings with which to optimize your gaming system. Photon Game Manager has an eye-popping UI design with which to show off your game collection. 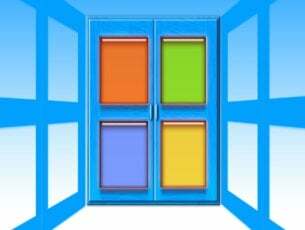 The V4 version is compatible with Windows (XP up) and Linux platforms. This isn’t exactly freeware software, but you can try out the demo with a database of five games by pressing the Download for Windows button on this web page. For larger game libraries, you’ll need the software’s $15 license key. However, the earlier V2 and V3 versions of the program are freely available with no restrictions. The best thing about Photon Game Manager is a UI design comparable to media center software. It has customizable full-screen and windowed interfaces to show off games with. 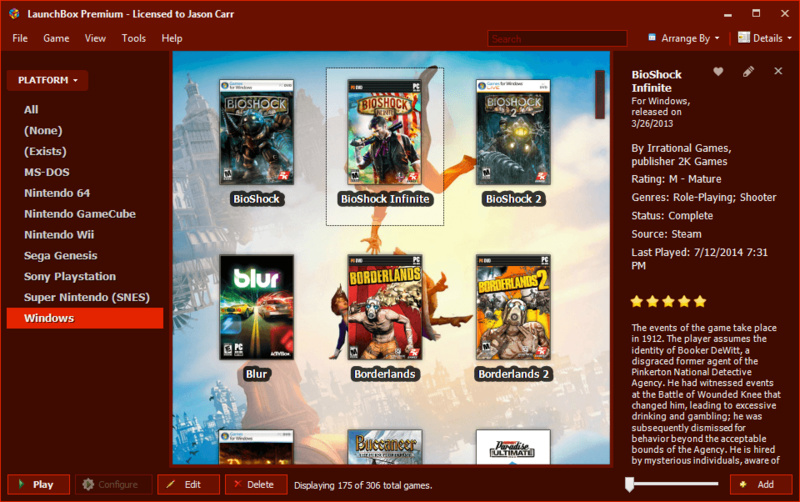 The program has built-in support for online databases so that you can include box art, banners and extra game details in your Photon gaming library. The software supports emulators so you can also launch retro games straight from Photon. 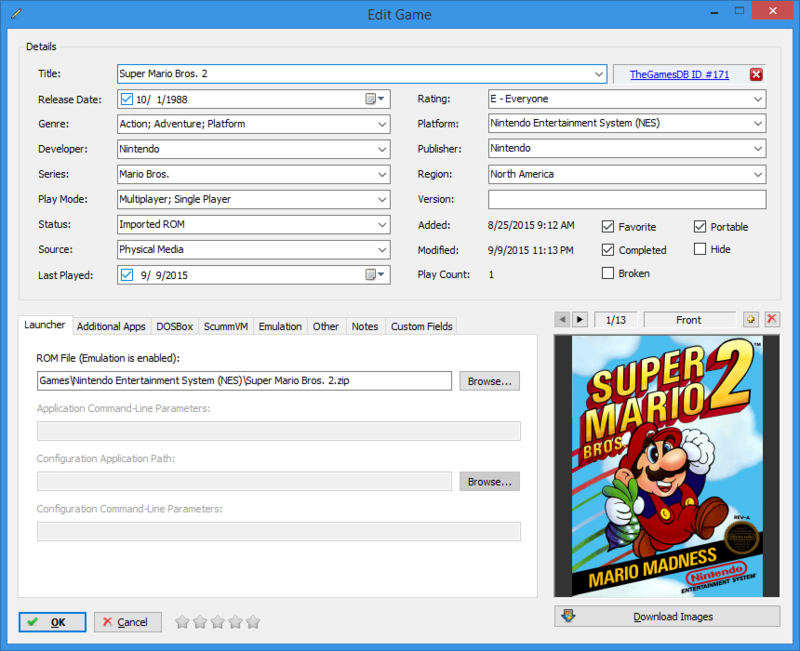 With PhotonExplorer users can browse through their game libraries with sort and filter options. In addition, you can use the software with controllers, joysticks, keyboards and touchscreen input devices. LaunchBox was originally a frontend for DOSbox but the developer expanded the software to support PC games and a variety of emulators. This software is compatible with Windows platforms from Vista on, and the publisher hints there might also be future Mac and Linux versions. LaunchBox has a freeware and Premium version with extra customization options and a Big Box Mode. The Premium version of the software is currently retailing at $20. LaunchBox is comparable to Photon Game Manager as it enables users to set up visually appealing game databases. The software is partnered with EmuMovies so that you can quickly add associated box art, fan art, logos, screenshots and videos to your game database. LaunchBox will also find all associated metadata pertaining to title, genre, release, platform, etc. 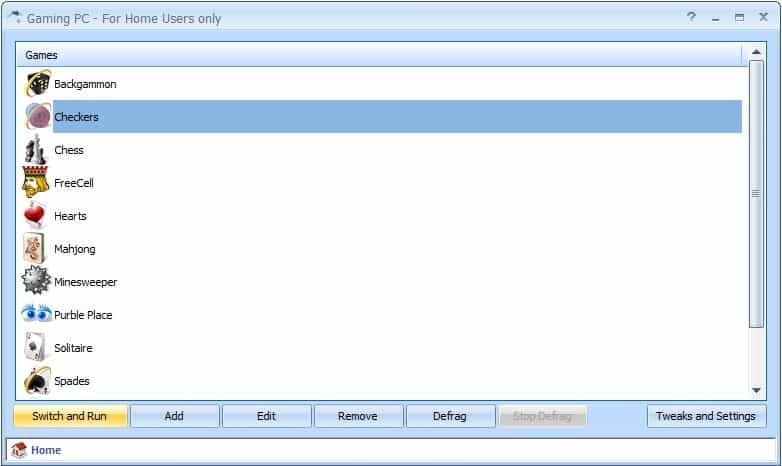 In the Premium version, users can customize window color themes and fonts and set up custom fields and filters. It also includes Big Box Mode that provides a home-theater view of your database with game videos included. GameRoom is another program that provides an elegant display for your Windows game library and supports various digital distributors. This is freeware that runs on the more recent Windows 7, 8 and 10 platforms. 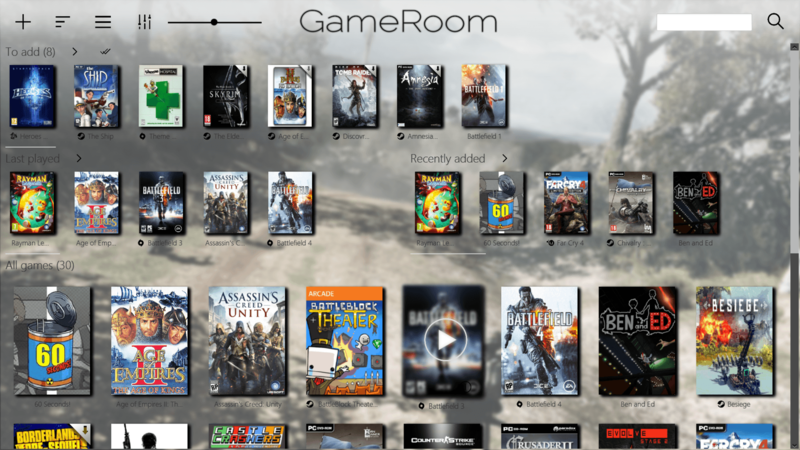 Click Download GameRoom (Windows) on this page to save the installer to your desktop or laptop. GameRoom supports the Steam, Origin, Battle.net, Uplay and Origin digital distributors and automatically scans and imports games from those libraries. Users can also manually import any game title. You can configure the program to leave some Steam or Origin games out from your GameRoom library. IGDB automatically provides background wallpaper, cover art and additional details for the games. Once you’ve set up the database, you can then sort and group the games according to titles, release dates, ratings, genre, series, etc. This program also has some handy options on its Settings window from which you can manage scans, configure shortcuts, select a primary game folder to scan for new entries and customize the GameRoom theme. Gaming PC is a freeware program that enables users to launch and boost games before opening them. The program is not entirely the same as LaunchBox and Photon as it doesn’t have a glossy UI design to organize game libraries with. It requires just 1.5 megabytes of HDD storage and is compatible with Windows platforms from XP to 10. Press the Download button on the software’s Softpedia page to add it to Windows. The developer didn’t really design Gaming PC as game database software. Thus, it doesn’t automatically scan for Steam, Origin or Uplay games. Instead, it relies on users manually adding any number of games to the software’s gaming list from which they can then launch the titles. The game list doesn’t include any wallpaper, box art, game details, banners or anything else other than icons. However, Gaming PC enables its users to select processes and background services to stop before opening a game. Thus, this enables you to quickly free up some RAM. And after closing the games, you can restore all the closed processes and background services. Furthermore, you can also defrag the game folders; the software includes customizable defrag settings for that. So, even if Gaming PC might seem a fairly basic game launcher, it still has some handy system optimization options. Razer is primarily a hardware company making a splash in software with Razer Cortex. This is an all-in-one package with which you can organize and launch games, optimize them, record video, back up saved games and more. Although the software boasts various options and tools, it’s still freeware you can add to Windows 10, 8.1, 8 or 7 by pressing the Download Now button on this website. Razer Cortex will automatically scan for supported games, including those from digital distributors. You can also manually add titles as well. This software does include box cover art and extra details for the games. The program has a Game Boosting mode that temporarily switches off background processes for a game when you press an Activate boosting hotkey. Users can select more system optimization options with the Tweak utility and defrag game folders with a Defrag tool. You can also back up saved games, mods and add-ons to cloud storage with the Save Game Manager. Plus, the software boasts video recording and screenshot tools for games with which to show off game footage or high scores. So, Razer Cortex has quite a few extra tools and options that aren’t included in alternative game launcher software. Gamer Desk is a software app for Windows 10 and 8 that you can add to those platforms by pressing the Get the app button on this page. 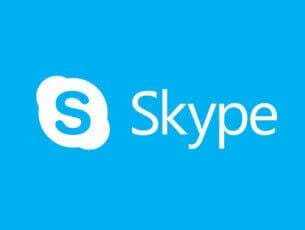 Note that the app is compatible with the Windows desktop and laptops platforms only and is still in beta. Gamer Desk enables users to create and organize a game library with which to launch games. 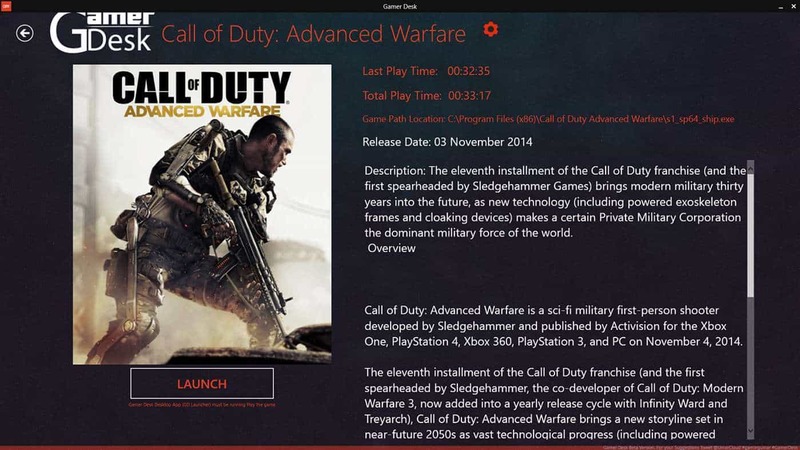 Users can add downloaded cover art images and additional game details for each title. Aside from that, this app doesn’t have that many extra tools and options at the moment, but the developers will probably add more to it with further updates. Those are six programs you can organize, optimize and launch games with. At the very least, they’ll give you a quick launchpad to open all your games with. Some of the game launchers also include extra system options and tools with which you can optimize games.